You may have noticed we had a Jubilee here recently, something to do with the royal family. Well, there’s another 60th anniversary this week, of a far more remarkable individual, a man whose name resonates across the century of both organised athletics and the Olympic Games – Emil Zátopek, who began his charge towards an unrepeatable golden treble in Helsinki, by winning the Olympic 10,000 metres on July 20, 1952.  During the following two weeks, the Czech Locomotive, as he had become known across Europe would also win the 5000 metres and the marathon, a distance he had never previously attempted. Zátopek’s Olympic career had begun here in London four years earlier in 1948. 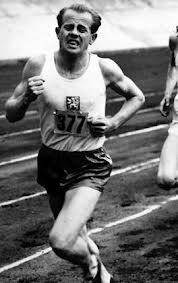 Only fifth in the European Championships 5000 metres two years before, Zátopek lapped all but two of his opponents in the 10,000 metres in London, to take his first Olympic gold. Had he begun his sprint earlier – he was 30 metres behind with a lap to go, and only lost by a vest-width – he would have won the 5000 metres too. For close to a decade, Zátopek dominated distance running, and captivated crowds as much for his ungainly running style and habit of talking to his rivals mid-race as for his excellence. But it was his commitment to fair-play and justice in an area of the world where it was in short supply that makes him even more of a hero. It emerged after Helsinki that a colleague had been dropped from the Czechoslovak Olympic team because of his father’s anti-communist activities. Though an army man, thus a member of the power-elite, Zátopek refused to go unless the colleague was reinstated. Záta’s golden treble meant there were no repercussions. That would not be the case during the ‘Prague Spring’ a decade and a half later. When, just prior to the Mexico Olympics, the Soviet tanks rolled into the Czech capital in August 1968, to suppress the liberal reforms of the Dubček government, Colonel Zátopek was outraged. He went onto the street, to berate the Soviet soldiers, giving them a history lesson about the ‘Olympic Truce’ which would reign in Ancient Greece during the Games. Three days later, Záta was stripped of his rank, sacked from the Czech Army, and expelled from Prague, to work as a labourer in a uranium mine; at the age of 45. His rehabilitation only began when German chancellor Willi Brandt put the Czech puppet government on the spot by inviting Zátopek to be a guest of honour at the Munich Olympics 1972. Even then, Zátopek was only allowed to return to Prague as a street cleaner. The citizens however would do his work for him. When I finally met him, in 1995, five years before his death, I was not disappointed. His health had been broken by his forced labour, but not his spirit. He bore no malice, and was hugely entertaining, as everyone who met him would testify. In this age of sham celebrity, there are still some proper heroes, and we shall see many in the coming weeks at London 2012. But none is likely to rival the example of Záta, in either sporting achievement or ethical solidarity.. 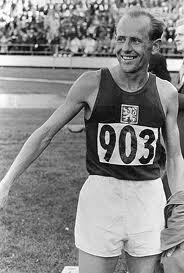 Sport has never been more dignified than by the sacrifice of one of its greatest practitioners; a real hero, on and off the track – Emil Zátopek.